Dance and social party venues don’t get much better then this! It’s got everything you need to unwind from the long week that just passed. 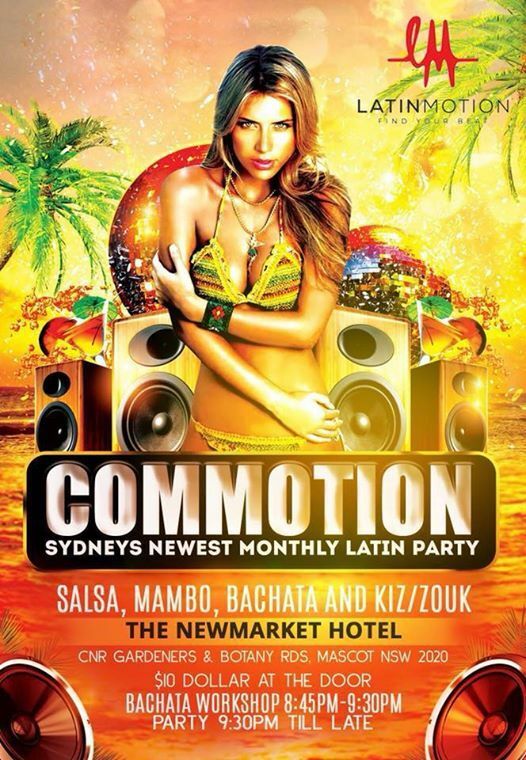 Commotion our monthly social party playing the best Salsa, Bachata, kizz and Zouk from 9:30pm-1am on Friday 19th April! 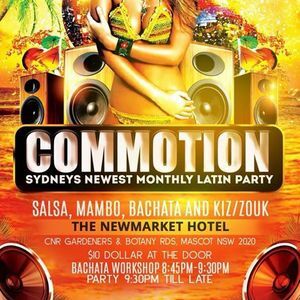 Venue : Newmarket hotel 889 botany Rd Cnr of gardeners Rd mascot/ Rosebery. Pre party bachata fun workshop 8:45pm-9:30pm with world champion bachata instructor Mitch Bilic .
? pizza and amazing food till 1 am which you can enjoy in the comfort of the outdoor garden! $10.00 dollars entry cash at the door. Cant wait til see you all there.